A few glasses of wine and some spare time was all that was needed for New Zealand rocker Neil Finn and wife Sharon to form Pajama Club. Soon joined by Sean Donnelly on the keys and drummer, Alana Skyring, the band (so named for their choice of clothing when first jamming out) produces a fuzzy-beat laden, atmospheric-pop debut album. Notable tracks on the record include the sultry whisper and guitar heavy “From A Friend To A Friend” and “TNT For Two” which features a keyboard solo I’m still thinking about. “Dead Leg” and closing track “Diamonds In Her Eyes” reminds us of the Beatles in their twilight years and begs to ask the question if Pajama Club might have saved the best track for last. The remainder of the songs on the album, while good, aren’t standouts like the previously mentioned or are (in this reviewer’s humble opinion) muddled by Mrs. Finn’s vocal presence. Her overzealous use of “oooohs” on the track “Tell Me What You Want” seems out of place and easily distracts from an otherwise great song. 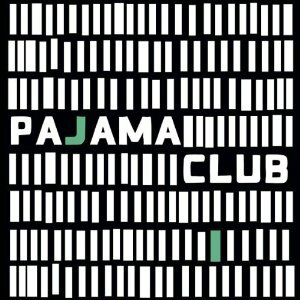 Overall, Pajama Club’s first attempt creates some easy-vibing tunes that would go perfect for your future road trip or the next time you have friends over for drinks. The album creates a nice, smooth ambiance without making a person feel guilty for missing a track or two.